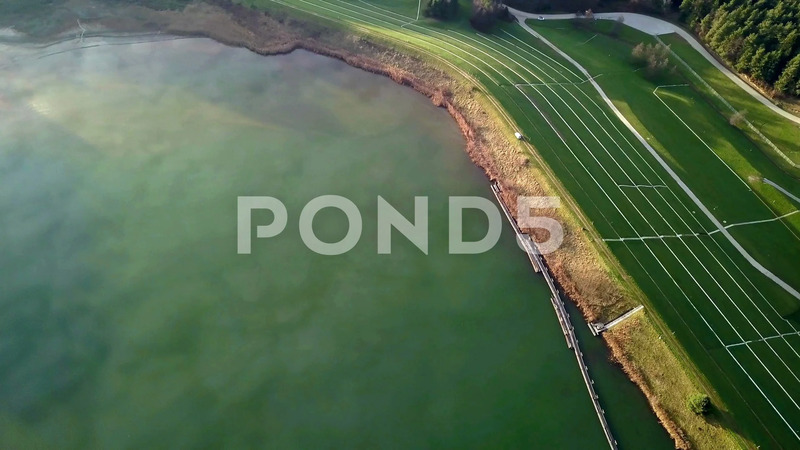 Aerial: Flying Over Water Filtration Plant With Waste Material Storage. Description: Aerial: Flying over water filtration plant with waste material storage. Filming countryside with industrial waste water cleaning facility.